However, if you’re just focused on using topic-specific specific keywords, you might just get a whole lot of site traffic and not many product sales. Alternately, you might not get a lot of traffic at all- yet every now and then someone will show up and outright purchase one of your site products. 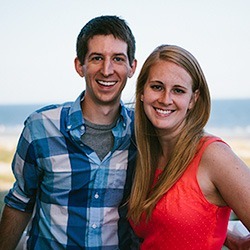 Why would an affiliate website experience such odd audience behavior and conversion? A likely cause is that the website doesn’t contain keywords focused on the entire customer buying cycle. Without the entire buying cycle being accounted for, an affiliate website will not achieve its SEO and ranking goals. 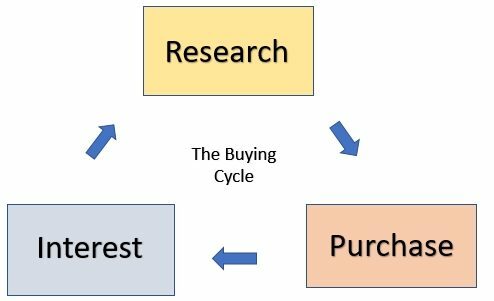 What is the buying cycle? The buying cycle (also called the customer journey) is the process that customers go through while buying a product. No customer starts out with an outright decision to purchase product X. Instead, there are at least three steps involved: Interest, Research and Purchase. In this phase, the customer is considering purchasing a product in a given category (e.g., vacuum cleaner). The customer might be interested in finding out what general products are available, especially if it’s been a while since he purchased that particular item. The customer may be curious about current product functions and features. By now, the customer has finished his exploratory phase and is delving down into the details of the product. He might be looking at product specifications and availability, customer reviews and complaints, and different product styles, sizes and colors. At this point in time, the customer as reached the decision that he will in fact purchase the product he has been researching until now. What interests him now is whether there is a product discount, promo code or coupon, whether the product comes with free shipping, and how long it will take to receive that particular item. Return policies and refunds are also researched. The last thing that the customer does is make a product purchase. How do keywords relate to the buying cycle? Your website audience will typically input keywords into a search engine before being directed to your site. 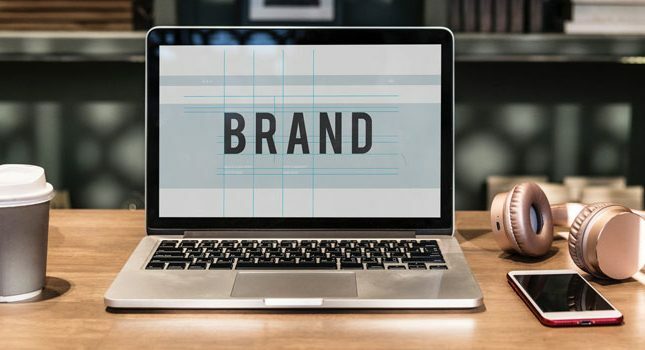 Short keywords like “shoes” or “vacuum cleaners” are going to encounter many upon many competing websites- which means that your website will probably not be one of the contenders. 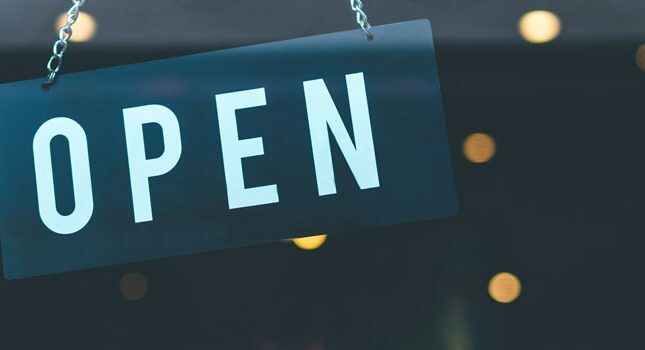 Your affiliate website probably already consists of a very general home page, storefronts, product pages, and maybe even some sales or checkout pages. Each of these pages offers something different to the customer in terms of the buying cycle. For starters, the top level and storefront pages serve to gain the interest of the customer. Product pages, reviews, comparison charts, etc., are more defined and help someone who is researching a given product. Finally, sales and promo pages serve to entice the customer to input a credit card number or Paypal address and make that purchase a reality. Likewise, because customers look for very specific products and product deals as they get ready to buy, your affiliate website needs to have a pyramid structure composed of very few top level interest pages, many more research pages, and a high number of purchase pages. The website pyramid structure is also advantageous because there are many more customers entering the sales funnel than going through its “neck,” and even fewer customers getting through that neck and towards the funnel bottom. Therefore, you need many more purchase pages located at the bottom of this sales funnel than at its top in order to capture a sufficient number of customers in the purchase phase of the buying cycle. If you already have an affiliate website filled with very general and top level pages, or a website filled with endless sales pages, don’t fret. You don’t have to overhaul your entire website in a day. Instead, focus on creating one type of buying cycle page per week. Add in review and customer testimonial pages slowly. Keep tabs on how many of each page type you have on your affiliate website- and strive to increase low abundance pages as you go along. Thanks for this article. I’d love to see some example sites where you feel they’ve done a great job utilizing a “pyramid structure” to cater to different phases of the buying cycle.